The big, bustling central Spanish capital of Madrid is bursting at the seams with Spanish culture, historic architecture and a vibrant nightlife. 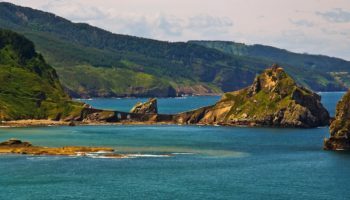 This is a multicultural European capital which is well known for its cultural heritage with numerous great artists and literary influences being produced in its streets. A city also well known for its culinary delights, take a stroll along one of Madrid’s many beautifully manicured boulevards or along the medieval lanes, eat in the oldest restaurant in the world, get tempted to try a whole load of tapas dishes in the many eateries and then wash it down with a beer in the city’s fun bars and raucous night clubs – it’s all ready and waiting for you to enjoy. 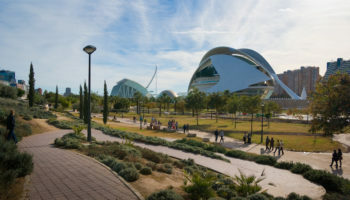 The city is made up of numerous local neighbourhoods called Barrios, each of which are varied and welcoming, and offer a slightly different side to Madrid. There are a range of accommodation to suit everyone’s budget and needs, so we’ve rounded up the top areas to help decide where to stay in Madrid for your next trip. Known for its literary history, Barrio de Las Letras is home to Madrid’s first theaters which began in the district’s courtyards over four hundred years ago and still thrive in the area today. 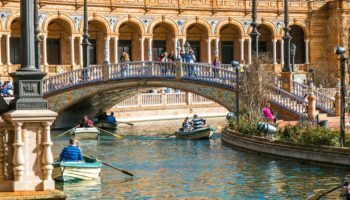 The creative influence remains strong here and many laid back bars and eateries serving up delicious tapas are nestled alongside interesting independent shops, meaning a fun and lively atmosphere for first time visitors to the city to soak up. The neighborhood remains traditional and many of Madrid’s main tourist attractions around Puerta del Sol can be reached on foot. If you are visiting Madrid you will more than likely end up exploring this area at some point, so why not stay there? Hotels in the district are packed full of the style and history of the creatives who once frequented the same buildings. Stay among traditional architecture in one of the many excellent mid-range hotel options – although the rooms are often more compact because of the old buildings, the hotel rooms are often well designed and contemporary and you can also take in the city skyline with stunning views from one of the many roof terraces. Catalonia Las Cortes – Set in a historic area of Madrid, this 4-star offering is housed in a beautiful historic building to match. The more expensive suites here even boast original 18th century features, but other than that, all of the rooms at Catalonia Las Cortes are decidedly plush and refined. If you’re hungry you don’t have to go very far: there’s a restaurant here that serves up international cuisine. Hostal Alexis Madrid – This wonderful place to stay in Madrid is closer in all aspects to a hotel than a traditional Spanish hostal. It’s new and clean, but a little compact. The central location is a huge plus, however. It’s situated right next to the Plaza Santa Ana and is a short walk from the ever bustling Puerta del Sol. Hostal Alexis Madrid is all about its amazing location, but the staff also help make this a great place to stay in Madrid; they’re helpful and friendly, making your trip to the capital an even better experience than it could have been. If you want to know what it’s like to live among the young, cool kids of Madrid you should stay in Lavapies. A vibrant bohemian district which encompasses steep ancient streets that are packed full of cool local culture, art exhibitions and shows take place around every corner in the quarter’s numerous creative spaces. The bustling San Fernando Market offers visitors a great chance to soak up the Spanish atmosphere whilst shopping for delicious local cheese and beers. The medieval architecture along the quarter’s winding streets and the diverse cosmopolitan immigrant inhabitants gives Lavapies a typically European feel and means that there are a plethora of cafes and restaurants serving food from all over the world. Lavapies has great transport links, being close to Atocha main station, and offers a selection of budget hotels. Catalonia Atocha – If you’re looking for a truly ornate heritage building to stay in when you’re visiting Madrid, Catalonia Atocha is the place for you. This 4-star hotel is elegant in every way, from its gorgeous exterior to its posh rooms; upgrading to a suite gets you beautifully frescoed ceilings and a hot tub, too! The sun terrace here has amazing city views, and the it’s in a fantastic location too. It’s just two minutes from the nearest metro, meaning exploring the city is easy from here. As a bonus the Museo del Prado is under a 10-minute stroll away. The place to stay in Madrid if you want to devour delicious plates of tapas and wash it all down with cold beer on tap, La Latina’s lively terraces are the typical Madrid hangout for those wanting to kick back and relax at the weekend. 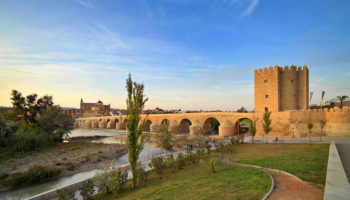 The quarter is set on the foundations of a medieval Islamic fort and as such its winding streets make for a maze of narrow lanes which can be a treat for travelers wanting to discover hidden cantinas tucked away down back streets. 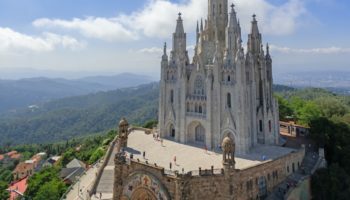 The area also has landmarks of its own; don’t miss having a look at the beautiful churches such as the Moorish Church of San Pedro el Real and the Basilica of San Francisco el Grande. 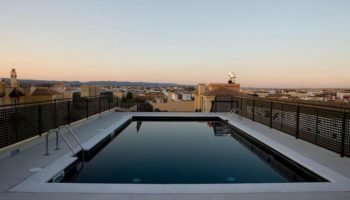 Staying in La Latina is a good idea if you like to be among the hustle and bustle of a cosmopolitan city – it’s got fantastic metro links and selection of cute boutique, budget and mid-range accommodation choices. Posada del León de Oro Boutique Hotel – A great base to explore the lively area of La Latina, you’ll love staying in this hotel if you like a touch of the finer things in life. The building itself dates all the way back to the 19th century and you can even see the former old wine cellar of the building through the cool glass floor of the onsite restaurant. Getting around is easy, thanks to the nearest metro station being a few minutes walk away, but Madrid’s main square (Plaza Mayor) is also very easily walkable. Great location. Posada del Dragón Boutique Hotel – Posada del Dragón Boutique Hotel is true to its name: this is definitely a boutique hotel, and comes complete with stylish interiors to match. This 4-star hotel is also well connected: you’ll be at the nearest metro station in under 10 minutes by foot. There’s also a cool Spanish restaurant onsite, as well as a bar to match. One of the coolest things about this place, however, is the fact that it’s set in a 16th century building that was once a barn. The sense of history is strong here! Grand plazas, historic architecture and old restaurants make up the majestic district of Austrias. This is where the Plaza Mayor can be found with its grandiose balconies and entrances, and also the decadent Royal Palace of Madrid which is the official residence of the Spanish royal family. This attractive district is a fantastic choice for a base in the Spanish capital, not only for its picturesque architecture but also for its delicious dining scene, which includes El Botin: the oldest restaurant in the world. Austrias boasts excellent metro and local train connections, meaning travel around the whole of the city is simple and, even though there are many tourists in the district, the hotels here offer a slice of luxury so that you can sit back and relax in comfort after a busy day exploring the city. Gran Meliá Palacio de los Duques – If staying in a hotel that used to be a royal palace – and also a convent – sounds good to you, then the luxury Gran Meliá Palacio de los Duques definitely a great option. It’s a classic hotel done in a classic style. The building itself dates back to the 1850s, and the suites at this warmly decorated hotel feature balconies with sumptuous views over the old parts of Madrid. And if you like your hotels to be well located, don’t worry: both the Royal Palace of Madrid and the Teatro Real are a mere few minutes’ stroll away. Hostal Oriente – This 3-star offering might be a budget hotel, but it definitely packs a punch when it comes to location: the nearest metro is quite literally across the street from this place, plus it’s just a five-minute walk to the Royal Palace. The surrounding area is packed with places to eat and drink, too. The rooms at Hostal Oriente are clean and modern, though they may be a little compact, but the staff at this hotel are very friendly and professional. Close to the Retiro Park, the neighborhood of Salamanca is an exclusive hangout for Madrid’s elite. 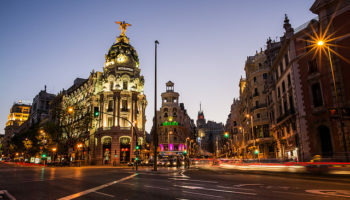 This is district to stay if you are in Madrid for designer shopping; the streets between Calle Goya and Calle José Ortega y Gasset is where you will find global luxury brands alongside top Spanish designers. 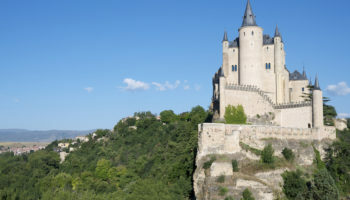 Salamanca is a piece of classic sophistication and it comes with a price tag – hotels in the area offer high end accommodation for those wanting to stay among the city’s chic crowd, although some more reasonably priced hotels are available. 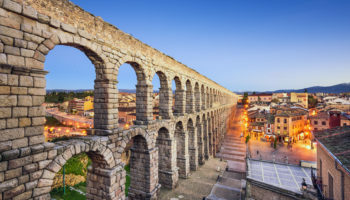 Salamanca is also home to Madrid’s archaeology museum and national library, as well as a big tourist attraction to the area: Real Madrid’s impressive Bernabéu football stadium. The laid-back luxury vibe attracts regular travelers to the barrio as well as the district’s great transport links and easy access to the airport. 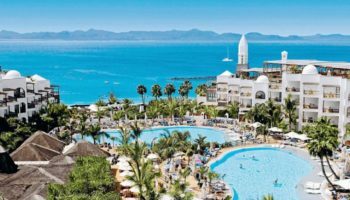 Barceló Emperatriz – If you really want to get away from it all on your city break, then we’d recommend you check yourself into the very relaxing Barceló Emperatriz. Boasting a great location (the Rubén Darío is just a five-minute walk away, for a start), this 5-star hotel is all about modern elegance – the rooms here come fully equipped with amenities, including a huge flat screen TV. There’s an upscale bar and restaurant onsite, as well as a terrace with incredible views of Madrid’s skyline. And for a slice of culture, the art gallery of Museo Lázaro Galdiano is a stone’s throw from this hotel. Hospes Puerta de Alcalá – With its gorgeous 19th century facade – complete with charming, picturesque balconies – Hospes Puerta de Alcalá is all about class. Aside from the exterior, this 5-star offering boasts beautiful interiors, too. Think parquet floors, minimalist furnishings, and classic decor for a decidedly design led aesthetic. The restaurant here is gorgeous, with wood panelled walls and delicious food on offer. VP Jardin de Recoletos – Moments away from the Puerta del Sol and just two minutes away from Retiro metro station, this 4-star hotel is a great choice for a city break. 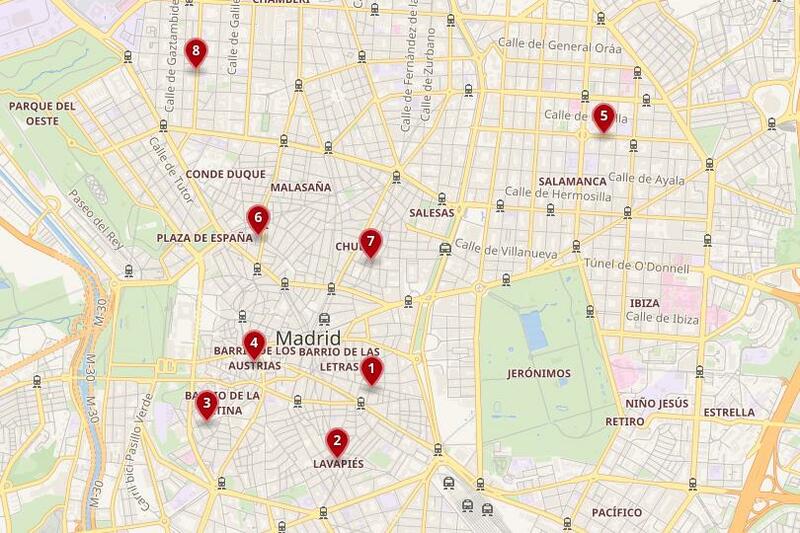 Getting around Madrid with VP Jardin de Recoletos couldn’t be easier. But if you don’t fancy heading out into the city, there’s an onsite restaurant that serves up Mediterranean cuisine; or if you want to rustle something easy for yourself, the rooms here all feature kitchenettes. Love bargain hunting? The El Rastro open air flea market isn’t too far from here. Residential Malasana is a busy student district full of streets lined with trendy cafes, eateries, retro vintage shops and bakeries. This is a trendy neighborhood and is a great place to grab a coffee, sit and watch local life in Madrid. At the weekend the area around the historic Plaza del Dos de Mayo becomes a meeting point for friends getting together to enjoy the weekend market and drink in the buzzing bars that line the square. As evening comes, nightclubs come alive and young people of the area dance to live bands and DJs. Staying in Malasana means you will be among the action of young Madrid; accommodation in the area is often decorated in a fashionable and quirky style and, with easy metro and bus links, it is simple to travel around the city. L&H Gran Vía Selection – This aparthotel boasts decidedly cool Instagrammable interiors. The rooms here feature a very design led aesthetic with their wooden floors, neutral color palettes, crisp white linen, and minimalist style furniture; there’s even cool artwork on the walls to admire. They’d suit anybody with an eye for design. Choose from a studio or an apartment (for more space and a balcony, of course) and then the city is yours. The location here is also pretty amazing: the nearest metro is a mere minute’s walk from L&H Gran Vía Selection, and so is the lively shopping, eating and drinking street of Gran Vía. Leonardo Hotel Madrid City Center – Another well connected Madrid hotel (this one is only a three-minute walk from the nearest metro station: San Bernardo), this 3-star hotel is a great place to stay. Though it’s a modern hotel with facilities to match, the rooms here feature traditional decor and come complete with a terrace or balcony. Leonardo Hotel Madrid City Center is the perfect place to return to after a day of exploring the buzzing Spanish capital, since it’s set on a quiet, leafy street – it’s almost like returning home. The lively Chueca restaurant scene is a big draw for visitors to the neighborhood. Close to vibrant Malasana, Chueca is packed full of great places to eat and fantastic cafes. 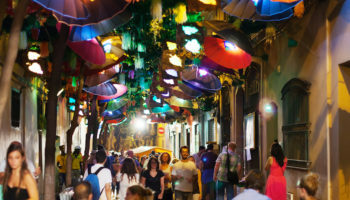 At night Chueca comes alive with Madrid’s gay nightlife scene, with music and dancing continuing until the early hours. A place where the fun is always happening, Chueca is abuzz with the gay scene of Madrid with many shops and businesses located here serving the LGBT community. The liberal scene is all encompassing and is open as a place where everybody who stays there is welcome. The older community who have lived in the district all of their lives now live harmoniously alongside the spectrum of sexual freedom that now exists among Chueca streets. This barrio is a fun place to stay during a trip to Madrid, especially if you stay in one of the chic, design-led hotels. Choosing to stay close to the central Plaza de Chueca means you will be close to the metro and to many of the great eateries in the district. URSO Hotel – True to its name, this 5-star offering features a spa (as well as a gym) so if you need a bit of pampering on your city break to Madrid this is a good place to stay. But aside from all the relaxation on offer at URSO Hotel & Spa, the sense of historical elegance here is strong: the hotel itself is set in a former palace dating back to the early 20th century, which makes for a truly luxurious place to stay in Madrid. This decidedly upscale hotel is, of course, well located too, with Tribunal metro station practically on its doorstep. Lusso Infantas – A great option if you want to do a spot of sightseeing, or explore more of Madrid’s food and drink scene, Lusso Infantas is situated with a whole host of restaurants and bars nearby – plus Gran Via metro station is a short walk away. But back at the hotel the refined onsite restaurant is also a good option for food; you can even order room service. These are colorful yet laid back – and very well cleaned each day – for a relaxing stay in the city. Enjoy the authentic life in Madrid, wander the streets and eat in the tapas bars, enjoy sipping a beer alongside the locals and browse in the old shops. 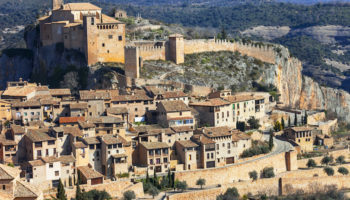 The area has a down-to-earth feel with much of the accommodation affordable although the area bordering Salamanca is more upmarket. The area is connected by the metro and the bus and is close to the center of the city, which is in walking distance. The Plaza de Chamberí is a popular meeting point in the barrio where you can take in the vibrant mix of local life. The district has a mix of everything that Madrid has to offer, with its traditional shops and newer modern facilities it’s a fantastic choice for staying in Madrid. Hesperia Madrid – You will definitely be spoilt for choice if you decide to stay at this luxury 5-star hotel. Not only does it boast three restaurants (one of which is a sensationally delicious 2 Michelin starred affair), it also has a Scotch bar, besides another bar, and a fitness center – there are even massage services available. This chic design hotel is set on Madrid’s most exclusive street and comes complete with upscale shopping to match just on its doorstep. Designed by Pascua Ortega, the interiors are beautiful: think accents of gold, marble bathrooms and contemporary design. NH Madrid Chamberí – This 3-star hotel is a very good option if you’re arriving or leaving via Madrid-Barajas Airport, since it’s very close and offers up an airport shuttle, too. Guests can stay in simple but nevertheless very clean and updated rooms (though you can upgrade for a balcony). Elsewhere there’s a dining room that serves up a tasty buffet breakfast each morning. For things to do nearby, the Paseo de la Castellana – Madrid’s longest, widest avenue – is a short walk away and so is the Sorolla Gallery.